With a digital intake form dakAlliance captures the necessary activities. The measurements are written directly on an overview picture of the roof so that the necessary work and materials can be calculated. The Dutch company dakAlliance is a loyalty partner in the field of roofs for her clients. The clients of dakAlliance include housing corporations, health care institutions, schools and property managers. The intake form is used to capture the rooftop situation. In addition, the technicians receive a digital work order. They add a picture of the before and after situation. The mechanic also records exactly what has been done and how long he has worked. dakAlliance wants to achieve a higher return with the same amount of people and went looking for a tool to replace the roof inspection on paper. When it rains, the mechanics come down with an unreadable and wet paper form. If the paper form is lost, they have to redo the intake. Handwritings can be unreadable, resulting in missing information. The digital report of the roof is now immediately placed in the correct folder. The company has an enormous amount of information thanks to all the digital intakes. This information is now very easy to find. Thanks to MoreApp the risk of errors has been significantly reduced and no information is missing. Structured data capturing is essential for the maintenance of roofs. With a clear report including images, better advice can be given in terms of the long-term maintenance plan. Real estate managers can now clearly demonstrate to the client what has been done for what price. This provides greater understanding on the clients side. 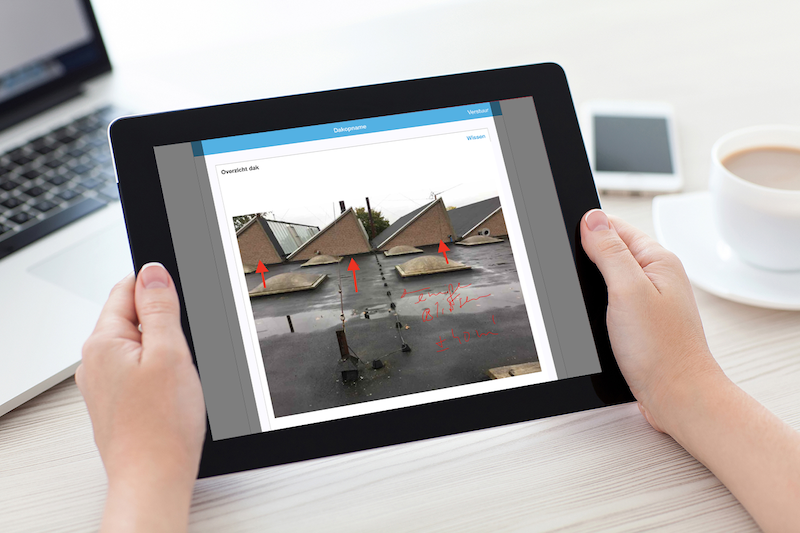 dakAlliance works with the Drawing-widget to capture the situation and measurements of rooftops.